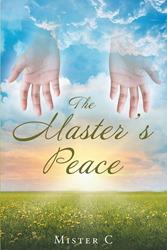 “The Master's Peace” from Christian Faith Publishing author Mister C uses everyday experiences to inspire and encourage readers to foster a closer relationship with God. By relating to the poetry within the pages of “The Master's Peace,” readers can surrender their thoughts and connect with their Creator. “The Master's Peace” is the creation of published author, Mister C. Mister C is a humble servant who believes in using all his talents to glorify God. Being the third oldest of seven children and the first of his family to have the opportunity to finish college, he has always and continues to believe that God has a special purpose for his life. Mister C gets his inspiration for writing from the people and events that God has placed in his life. He currently lives in Chesapeake, Virginia with his amazing and energetic wife of twenty-five years, Adrienne, who pushes him to always see the possibilities in life. He has three daughters, Arielle, Alyssa, and McKenzie, who are maturing into beautiful young ladies. They constantly remind him why he keeps pressing forward when he wants to give up. Published by Christian Faith Publishing, Mister C’s new book, forces readers to stop and think about life and its many intricacies. With every page, Mister C illustrates how individuals can see God in the people, places, and events that touch their lives in positive and negative ways. Readers must simply surrender their thoughts and release control over their lives to allow the words and imagery to take them on a journey with the Lord. “The Master’s Peace” focuses on everyday experiences and thoughts anyone can identity with on a personal level. “The Master’s Peace” uses poetry about life’s good and bad moments to mentally stimulate readers. By connecting to the poetry within this collection, Mister C hopes readers will be inspired to develop a closer relationship with God. View a synopsis of “The Master's Peace” on YouTube. Consumers can purchase“The Master's Peace” at traditional brick & mortar bookstores, or online at Amazon.com, Apple iTunes store, or Barnes and Noble. For additional information or inquiries about “The Master's Peace”, contact the Christian Faith Publishing media department at 866-554-0919.